If you want to add solar panels to your RV, there is plenty of information on the internet. A lot of that information can be confusing, especially for a beginner. Let’s explore some of the common questions many people have about RV solar panels. To put it simply, RV solar panels convert sunlight into electricity. When sunlight hits the solar panels, it will create an electrical current. The electrical current then feeds into the charge controller, which controls how much electrical current goes into the battery. The RV batteries produce DC power, and then an inverter changes the power from DC into AC, in order to power your common electrical appliances. To charge the “house” batteries for your daily living. Solar panels will provide a steady, slow charge to replenish your batteries. This is how to charge batteries, to maximize the life of your batteries. If your batteries sit too long without a charge, they may not be able to hold a charge. Solar panels can provide electrical power, when in remote locations, exploring nature, and will also provide back-up power, for emergency situations. If going off grid, living green, or going under the radar are lifestyles that interest you, then a solar powered RV is for you. Even if you only want to extend your battery life, or cut down on your generator use, then there are benefits to adding a solar to your RV. What Are The Benefits of Going Solar on Your RV? Solar panels are cost effective, once you recover the initial cost of installation. Most importantly, it’s free energy, allowing you to live off grid, and outside the RV park. The sun is an inexhaustible resource. Even during the winter, and on cloudy days, you will still see some electrical gain from sunlight. Solar panels are clean and quiet, unlike a gas or diesel generator! It doesn’t burn fuel, and it doesn’t smell, or put off dangerous exhaust. Solar systems are nearly maintenance free. Once you set up your solar, it can last for decades. In addition, there are no reocurring costs, unless your charge controller or inverter goes out. You can easily expand your system, by adding more panels, without revamping your whole system. Solar panels will extend the life of your batteries. Most RV batteries will last two to three years, and they are expensive. By using solar, you can increase your battery life by 50% to 75%. That could mean your batteries could last for 6,or maybe even 10 years. Solar power will allow you the freedom to live out in natural solitude, with beautiful views, and peace. It’s easy! The sun shines, and like magic, you have free power. There are currently three types of solar panels on the market. Mono-Crystalline solar panels are manufactured from a single crystal. Individual cells are a thin wafer of silicon crystal. Poly-Crystalline solar panels are manufactured from several smaller crystals. Amorphous solar panels are thin film panels. The cells are made of a thin layer of silicon, attached to a backing material. What is the best Solar Panels for an RV? The roof of your RV is limited in size. When deciding the best solar panels for your particular RV, you must consider size, as well as efficiency. While Amorphous solar panels are the cheapest, and they do have a high efficiency, they are twice the size of a mono-crystalline or poly-crystalline solar panel. 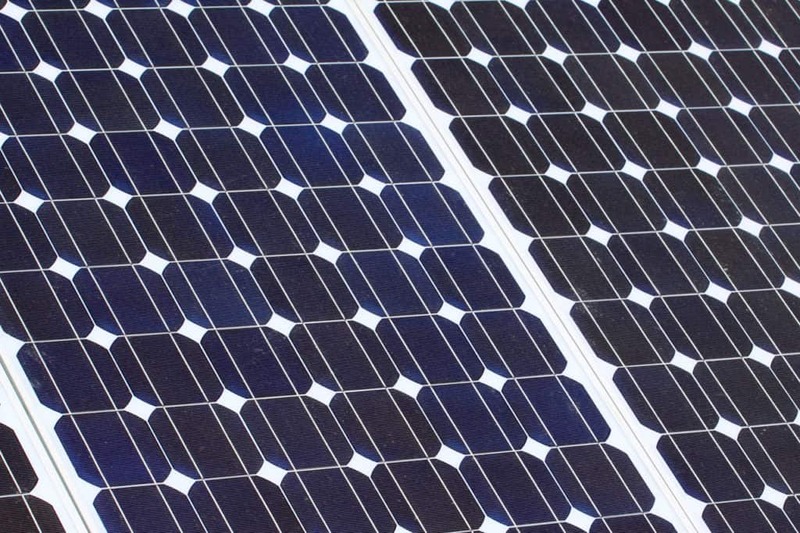 Mono-crystalline panels are highly efficient, and are reputed to produce more power in low light than poly-crystalline or amorphous solar panels. Poly-crystalline solar panels, however, are the most popular,they take up half the space of an amorphous solar panel, and produce only slightly less power than a mono-crystalline solar panel. To put it simply, the best solar panels for your RV are the ones that fits your needs, and fit on your roof. Flexible solar panels, or thin film panels, are the newest type of solar panels to come onto the market. Advantages: Flexible solar panels are very light weight, and you can install more onto a larger area, and not add any additional weight, unlike a poly-crystalline or mono-crystalline solar panel. They are capable of generating just as much energy as the poly-crystalline or mono-crystalline panels. Flexible solar panels install flat onto your RV roof, making it more streamline. The flexible panels are preferred for a stealth van, as they will not attract any attention. Disadvantages: While some mnufacturers say it’s OK, it’s not a good idea to walk on flexible panels. They can develop tiny cracks, which will reduce their power output, and shorten their life span. Also, most come with only a 10-year warranty, which is a third of other types of panels. Heat buildup can also be a problem. The more space you have between your solar panels and your roof, the cooler they will be, and the more power they will generate. As flexible panels get heat up, that heat goes into the interior of the roof. While in the winter this can be a good, but during the hot summer, it can make a bad situation worse. Installing flexible solar panels means you need to glue them down to your roof, and it will not be easy to remove them later, and can damage your roof, or the solar panels. Advantages: The biggest advantage of rigid solar panels over flexible solar panels, is their durability. They can take the harsh conditions and weather, associated with RV travel, and rigid solr panels are the best choice for long term RV use. Another benefit to rigid panels is a higher resistance to heat. Rigid panels mount with a space between the panels and the roof. This keeps them cooler in the summer. Also, rigid panels can be mounted on tilt brackets, so you can position them to face the sun directly. Disadvantages: Rigid panels weigh more than flexible panels, nd will add weight to your RV. Rigid panels will protrude above your roof, and may ruin the stealth ability of a van dweller. Rigid panels can also be harder to place in between the air conditioner, roof vents, antennas, and other features on your RV roof. Solar panels are designed to withstand rain, hail, high winds, and extreme temperatures. But solar panels are made of glass, and glass can break, so be careful. Now that we have covered the different types of solar panels, let’s look at the other components of an RV solar system. Charge controller: This regulates the flow of electricity to your batteries, and prevents them from being over charged. Battery monitor: This will monitor your battery charge levels. It acts like a fuel gauge on your gas tank. This monitor can tell you exactly how many amp hours you have. Inverter: This will convert the DC power from your batteries into AC power, which is what you need to power appliances like your lp top, phone charger, and TV. Wire harness: Wiring to carry the charge from the solar panels to your batteries. Solar panels come in many different watt sizes. Depending on the space on your RV roof, you can get one large panel, or a few smaller ones (which will be easier to place) that add up to the same wattage. If you figure you need 300 watts, you could buy two 150-watt panels, or three 100-watt panels. How do I know what wattage RV solar system I need? There are quite a few ways to determine the size system you need, often based on complex mathematical formulas. 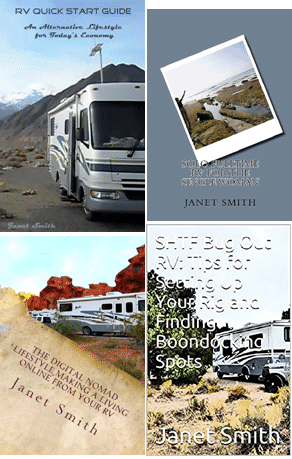 It is always best to reduce your electrical use when RVing. Heating appliances use a lot of electricity, and it would be best to cook with propane while on solar. And unfortunately, the air conditioner will take far too much energy to run on any typical solar system. Portable solar panels will allow you to move your panels, to get the most sun, even if your RV is in the shade. Use a portable panel with your permanent panels, when you need an extra boost, such as during an overcast day, or when camping in a forest. These portable solar panels come with cables and battery clamps, so you can move them around with ease. As with anything, it depends on what you get. Solar is very customizable, and prices for solar systems can start at around $700, and go up from there. Also, if you can install it yourself, you can reduce the cost to just the components. As long as you have enough sunlight to cast a shadow, your solar panels are capable of producing power. Keeping your RV panels clean will have a positive effect on the production of power. Make it a prt of your routine to clean your panels. Be aware, not all solar panels are created equal. Only use solar panels made for use on the roof of your moving RV. Look for dealers and installers that specialize in solar panels for RV roofs. Similarly, you will need a solar system made especially for RV’s and campers. Solar panels are a fabulous addition to your RV. Solar panels will allow you to camp off grid, and also save you money in the long run.